Alicia and I met in 2006 when we both worked at Valley Forge Christian College (VFCC)—I was a Media Specialist and she was a Residence Director. While it wasn’t love at first sight, we eventually became friends, and became “buddies” (what we call each other…ask us about that story sometime!) in 2007. When I proposed to Alicia in early 2008, I rented out a local movie theater and had them play a special trailer I made as the coming attractions. She was confused at first that there could be a movie so similar to our lives, but when I stumbled down on my knee, she figured out what was going on. She said yes, and we were married on September 27, 2008. For the past five years, I have served as a professor of Digital Media at VFCC. There, I was able to teach in a fledgling program that became the largest major in the college. As we grew, I designed and built new broadcast studios, launched new classes, and the college allowed us to create a Digital Media Center for students to collaborate and learn. Alicia has most recently served as VFCC’s Director of Alumni and Parent Relations. God began to give us a dream for missions a few years ago, but at that point, it was just a “nudge.” We explored a few options, but nothing felt right. Alicia has always felt a strong call to western Europe, but we didn’t know how that would come into play. In May 2013, we were involved in a media missions experience called Go Borderless, where I got to train college students from the US and Europe, and led a team to North Africa. As we prepared for Go Borderless, we learned of a position at International Media Ministries (IMM), and the idea that we could accelerate the Gospel through media at an organization that has a potential audience of millions of people in a variety of cultural contexts really excited us. A very long story and many confirmations from God later, we are preparing to move to Madrid, Spain to lead production and training at IMM. International Media Ministries is constantly adapting, changing, and growing with the media world. We want to see Jesus on every screen, especially those parts of the world closed to traditional evangelism. Currently, video content including short films, dramatized Bible stories, and children’s shows from IMM have been translated into more than 70 languages. Fore more information about what we’ll be doing, click here. Apathy: A legacy of hatred Trailer from International Media Ministries on Vimeo. 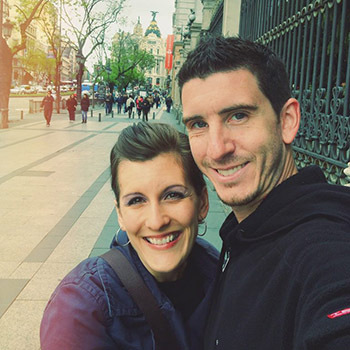 Neither of us ever thought we would live outside of the United States, and as we started moving toward missions, we didn’t realize just how strategic Spain is. Being located in Spain will give us easy access to other countries in the EU, Africa, and the Middle East as we produce content for many people, including unreached people groups.